Noam Chomsky is an American linguist, philosopher cognitive scientist and activist. He is an Institute Professor and Professor Emeritus of Linguistics at the Massachusetts Institute of Technology. Chomsky is well known in the academic and scientific community as one of the fathers of modern linguistics, and a major figure of analytic philosophy. Since the 1960s, he has become known more widely as a political dissident referring to himself as a libertarian socialist. Chomsky is the author of more than 150 books and has received worldwide attention for his views. Chomsky’s social criticism has also included Manufacturing Consent: The Political Economy of the Mass Media (1988), co-written with Edward S. Herman, an analysis articulating the propaganda model theory for examining the media. According to the Arts and Humanities Citation Index in 1992, Chomsky was cited as a source more often than any other living scholar from 1980 to 1992. He is also the eighth most cited source of all time, and is considered the “most cited living author”. He is also considered a prominent cultural figure, while his status as a leading critic of U.S. foreign policy has made him controversial. MASSIVE PROFITS!!! But from Where? 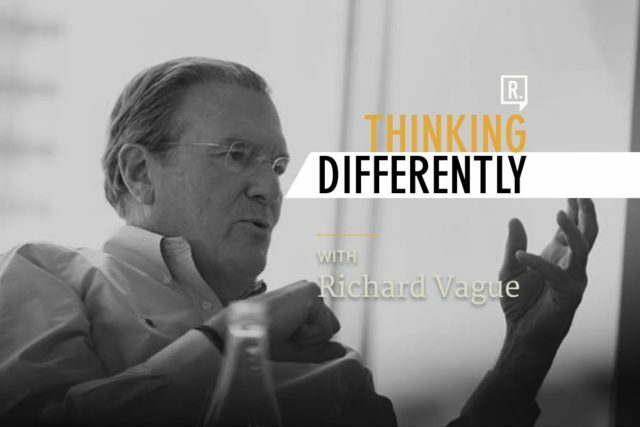 Ross Ashcroft speaks with Richard Vague - former banker and author of 'The Next Economic Disaster'.